This year and last year I travelled much more than previous years both for business and pleasure. I applied for a few credit cards and earned thousands of free miles and points with just a bit of spending. 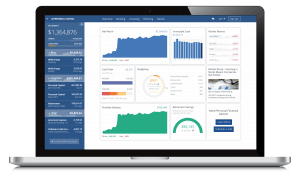 You will find that credit card bonuses can be easier to find and earn then you thought and it does not have a negative effect on your credit score. Last year, Chase offered 100,000 Chase Ultimate Rewards points for anyone who signed up for their Chase Sapphire Reserve card. If you cashed in the points for just cash, they would be worth $1000. If you spent the points on travel through the Chase Ultimate Rewards portal, they are worth $1500. Quite a good deal for adjusting how I spend and pay for things for a few months. I keep this page updated with the best credit card deals I have found in the past month. The easiest way I found to make sure I can meet the minimum spend to earn the bonus is Plastiq. Plastiq accepts American Express, Visa, and MasterCard and allows you to pay bills that you normally have to pay by check through a credit card. If you use the referral code 471946, I will receive some fee free dollars and you will as well. Plastiq charges a fee of 2.5% for most transactions, so obviously if you are not earning more than 2.5% cash back or in reward points it is not worth putting all your transactions through. But when you have a bonus like the Chase Sapphire Reserve that offers $1500 in Ultimate Reward points, paying $125 in fees to Plastiq is well worth it. To meet the spending requirements, I simply put my rent payment through Plastiq. I also try to remember to use whatever card I am working on the bonus for all my groceries, gas, Amazon purchases, and when I am TDY for food and other necessary purchases. 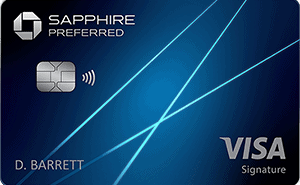 The Chase Sapphire Reserve will probably remain in my wallet, even though it comes with a hefty $495 annual fee for the first card and an additional $75 for each authorized user. How can I justify spending $570 annually on a credit card? First, the card comes with a $300 annual travel credit. See below to see how the credit is applied. When you make any travel related purchase like rental cars, Uber or taxi trips, airfare, checked baggage fees, etc, Chase automatically applies a credit the same day. Nothing to apply for, it's all transparent to you and automatic. See below to see how it worked for me when I took an Uber to the airport and rented a car at my destination. So while it is a $570 annual fee, you can take $300 off that because of the travel credit. That leaves $270. The other benefit I use the most is the no foreign transaction fees. This saved me a few hundred dollars last year as I frequently travel internationally for both work and pleasure. Also, travel and restaurants give you 3 points for every dollar spent, or about 4.5% cash back when you consider the 50% bonus Chase Ultimate Rewards pays when you book travel through their site. The AMEX Hilton Surpass waives the annual fee for active duty military members and offers automatic Gold status in the Hilton HHonors program. This one will stay in my wallet and I will probably favor Hilton properties when I go TDY for the next few months. The Chase Freedom Unlimited offers 1.5% cash back on all purchases. It's a good everyday card when I am not trying to meet spending mins on another card or travelling. I move the points from my Freedom Unlimited card to the Sapphire Reserve card to take advantage of the 50% bump when cashing them in. The AMEX SPG has no annual fees for active duty military, so I will keep it after meeting the bonus requirements. I earned a 60,000 point welcome bonus on my AMEX Platinum card and always travel with that card. Applying for credit cards does not seem to have that much of an effect on my credit score. Also, I would probably cancel some of the more recent cards I pulled out to increase the average age of my accounts, which has a medium impact on your credit score. I can pull up my credit score for free on American Express, Credit Karma, Credit Sesame, and USAA. 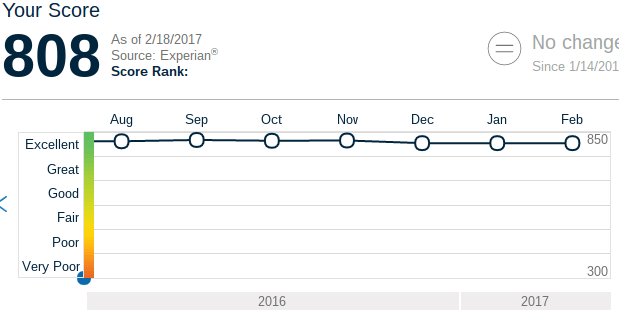 As of March 2017, American Express reports my FICO Score 8 as 748, which they consider “very good.” As you can see in the graph below, my score has not fluctuated much in the past year. The highest reported score was 795 and the lowest is my current 748.
Credit Karma reports my score as 820. It hasn't fluctuated below 800 for the past two years. Credit Sesame says my score is 820 as well. They have not reported a score below 800 for the past year. Finally, USAA reports my score as 808. It's changed maybe 10 points in the last year. Overall, I am not concerned about the effect of credit card applications on my credit score. 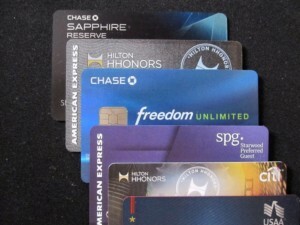 Did you take advantage of any great credit card welcome bonuses recently? Let us know in the comments! Spencer, did you ever get the AMEX Platinum? Best deal out there for military. I keep waiting for AMEX to deny me, but I have the platinum, delta gold, delta platinum, honors, honors surpass, and SPG. They waive all the annual fees. I missed out on the sapphire as I’m now almost always over 5/24, but I did stack a few southwest cards to get the companion pass, as well as the united card, marriott, IHG, and Hyatt. Now that I’m essentially cut off from chase I’ve moved on to the Barclays arrival plus, aviator red, and Lufthansa. I also have the capital one venture and the citi Hilton that is about to be dropped. You could probably say I’m addicted, but the crazy thing is my credit hasn’t dropped at all. I waited until I bought my house in 2013 before really jumping in as I didn’t want this to affect my credit score. I’ve gotten a new card every three months since. Most people think I’m nuts but then when they hear about family trips to Mexico, London, etc with free airfare and hotel they get a little more interested. Even if you can’t get affiliate links, you could still share referral codes and get something for your troubles. Excellent! I am OCONUS and don’t find it too hard to meet minimum spend. Utilities, gas, groceries, and occasional going out are usually enough to meet these spends with room to spare. I have not found myself having to buy gift cards or make unnecessary starbucks purchases to hit the minimum. I’m working on Chase cards right now because of their 5/24 rule. I am at 3/24 and will be back down to 2/24 in a few months when one of my cards ages. I am stacking UR points, United, and Southwest points because we are PCSing to the west coast later this year. I haven’t ventured into AMEX yet because it’s rare to be able to use AMEX in most places outside of the US. However, once we get back to the States, I’m going for those AMEX ones. In total, I have about $2250 worth of free travel saved up just this year. Thanks for this article!